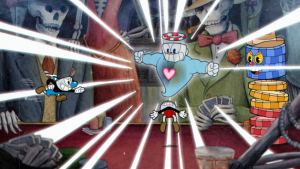 The video of the complete Cuphead – A Knockout! Artist Talk is now online! Cuphead – developed and published by Studio MDHR Entertainment – is a gloriously fiendish indie run-and-gunner game inspired by classic Rubber hose cartoons of the 1930s. Painstakingly created using techniques of the 1930s era: traditional hand drawn animation, watercolour backgrounds, and original jazz recordings, Cuphead team members/artists Tina Nawrocki, Caitlin Russell, and Ali Morbi gave a behind the scenes look at three different aspects of Cuphead’s artistic development. Presented in front of a packed house at OCAD University, in Toronto, Canada, on November 24th. Presented by the Toronto Animated Image Society (TAIS), with Hand Eye Society (HES), and OCAD University, in partnership with Seneca College, TAAFI, and LeFort Talent Group. 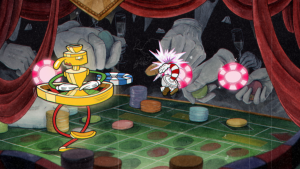 Get Behind the Scenes of ­Cuphead – the gloriously fiendish indie run-and-gunner game inspired by classic Rubber hose cartoons of the 1930s. 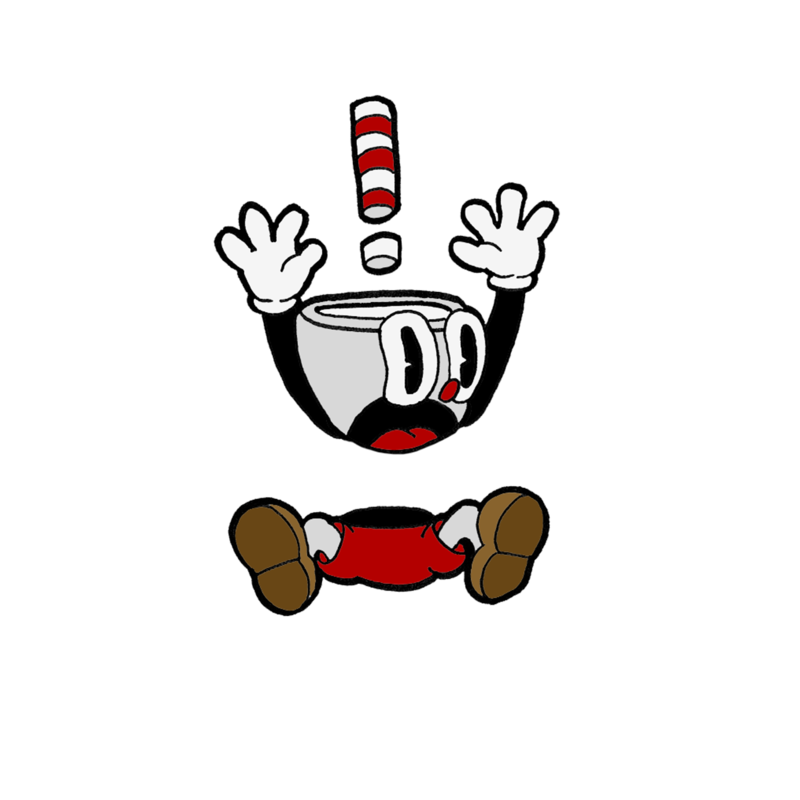 Hotly anticipated, and blowing up since launching on PC and Xbox One at the end of September, Cuphead was painstakingly created using techniques of the 1930s era: traditional hand drawn animation, watercolour backgrounds, and original jazz recordings. 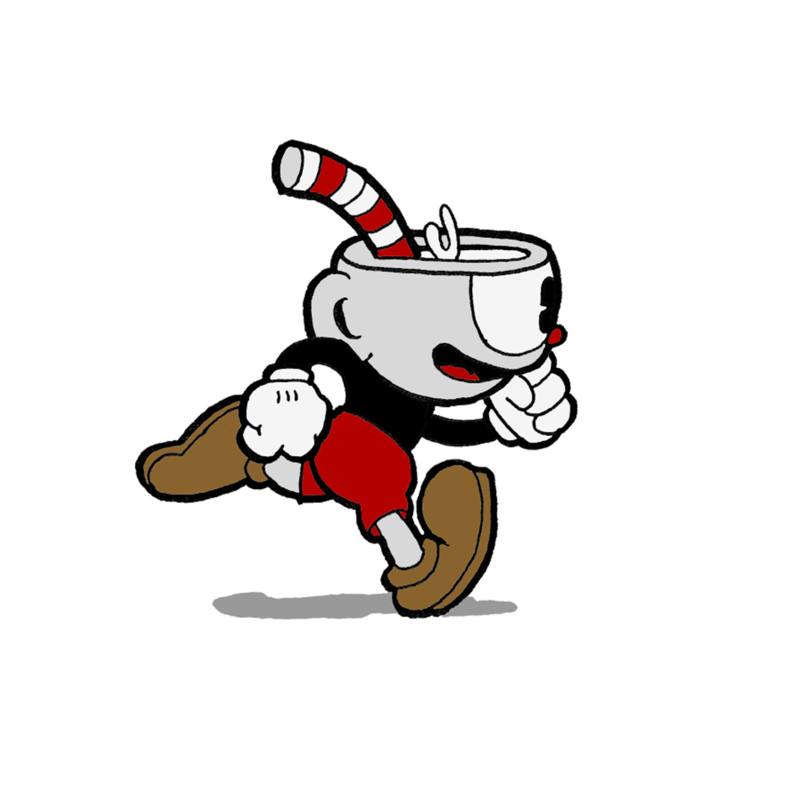 Developed and published by Studio MDHR Entertainment, Cuphead production team members Tina Nawrocki, Caitlin Russell, and Ali Morbi will give a unique behind the scenes look at the artwork created for the game, and reveal details on how the Cuphead crew developed this Platinum selling gem. The presentation will be followed by a Q&A, moderated by Hand Eye Society’s Executive Director, Sagan Yee. Tina Nawrocki is a 2d Animator and Illustrator with over 10 years of experience working in the gaming industry. 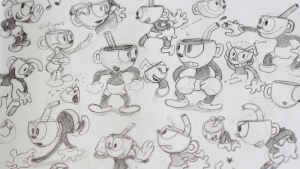 Tina joined Studio MDHR in 2015 to work on Cuphead as a Concept Artist and 2d Animator. She designed and animated the bosses for Sugarland Shimmy and various platforming stages. Caitlin Russell is an Illustrator and Designer specializing in watercolour paintings. 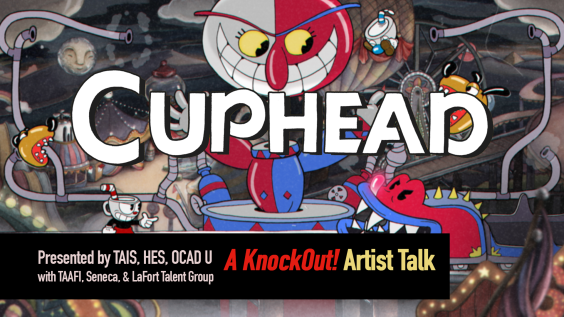 She worked on concepting and painting for all of the many levels and world maps within Cuphead. Ali Morbi is a Woodworker, Fabricator, and Prop Designer, with a workshop based in the Junction. For Cuphead he created and filmed props and background models for the game opening and several other levels. Sagan Yee is a 2D animator and occasional art game perpetrator. She has worked on television and interactive projects for the Disney Channel, Adult Swim, and Cartoon Network, and once spent four years making a fan animation for her favourite video game. Her personal games work and collaborations include a magical girl alternative controller game, a psychedelic mind-trip in a weird van, and a vaporwave-inspired Star Fox clone. The Hand Eye Society is a Toronto not-for-profit dedicated to supporting and showcasing videogames made primarily as a form of creative expression. We aim to provide exhibition opportunities, education, creative support, mentorship, knowledge sharing and inspiration to artists, enthusiasts, and the game-curious in Toronto. Founded in 2009, it is one of the first videogame arts organizations of its kind in the world. Students who choose Digital Painting and Expanded Animation (DPXA) will see their main area of study — Drawing & Painting or Integrated Media — supplemented by a series of courses to strengthen their digital art and animation skills and better prepare them for a career in various creative industries.